When I was 17 years old, I spent most of my time watching MTV and attempting to noodle my way through Jimmy Page guitar solos. When Juan Antonio Ponce was 17 years old, he was already a certified enologist. 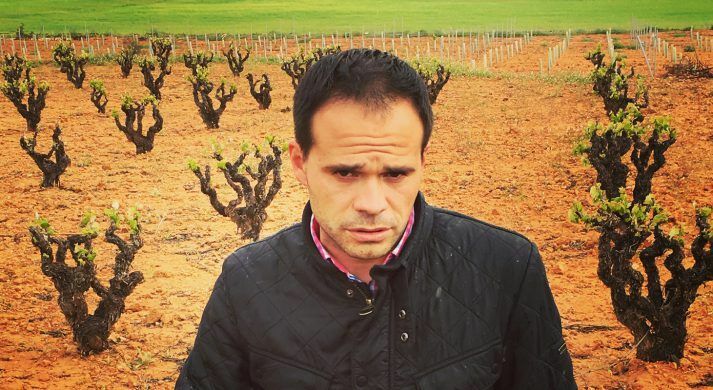 After a few years working as Telmo Rodriguez’s right hand man at Remelluri in Rioja, where he learned the ins and outs of biodynamics, Ponce returned to his family’s 22 hectare farm in the Manchuela DO. Manchuela lies a bit inland from the Valencian coast, between La Mancha to the west, Utiel-Requeña to the east, and Jumilla to the south. With the courage of a 23-year-old, Ponce boldly broke his family’s pattern of selling the harvest of their native bobal vines, in favor of bottling estate wine. In relatively few vintages, his work has already earned him recognition as the leader of Manchuela, and the title “King of Bobal”. But can he play “Heartbreaker“? Monthly Pass holders may already be familiar with “Clos Lojen”, the entry point to Ponce’s wines, and a surprisingly gulpable version of bobal. “La Casilla” is a bottling of 80-year-old vine bobal from the Estrecha area, and might be the most immensely impactful wine in the shop right now, though it somehow maintains structural balance. “Reto” is made from the under-appreciated albilla variety, which carries a graceful honied peach note that reminded us of some young Vouvray. “Buena Pinta” is the only red made without bobal, highlighting instead another local variety, moravia agria, whose inherent freshness and aromatic complexity are bolstered in this case with the addition of around 40% garnacha.